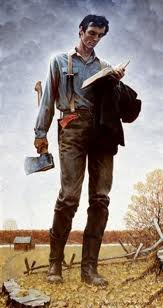 Today is the 210th birthday of Abraham Lincoln. It is a state holiday in Illinois and the courts are closed. However, I would have my law firm closed today even if were not a state holiday. Abraham Lincoln deeply resonates with me and is one of my personal heroes. That which was best in Lincoln is amply demonstrated in his Second Inaugural Address. One-eighth of the whole population were colored slaves, not distributed generally over the Union, but localized in the southern part of it. These slaves constituted a peculiar and powerful interest. All knew that this interest was somehow the cause of the war. To strengthen, perpetuate, and extend this interest was the object for which the insurgents would rend the Union even by war, while the Government claimed no right to do more than to restrict the territorial enlargement of it. Neither party expected for the war the magnitude or the duration which it has already attained. Neither anticipated that the cause of the conflict might cease with or even before the conflict itself should cease. Each looked for an easier triumph, and a result less fundamental and astounding. Both read the same Bible and pray to the same God, and each invokes His aid against the other. It may seem strange that any men should dare to ask a just God’s assistance in wringing their bread from the sweat of other men’s faces, but let us judge not, that we be not judged. The prayers of both could not be answered. That of neither has been answered fully. The Almighty has His own purposes. ‘Woe unto the world because of offenses; for it must needs be that offenses come, but woe to that man by whom the offense cometh.’ If we shall suppose that American slavery is one of those offenses which, in the providence of God, must needs come, but which, having continued through His appointed time, He now wills to remove, and that He gives to both North and South this terrible war as the woe due to those by whom the offense came, shall we discern therein any departure from those divine attributes which the believers in a living God always ascribe to Him? Fondly do we hope, fervently do we pray, that this mighty scourge of war may speedily pass away. Yet, if God wills that it continue until all the wealth piled by the bondsman’s two hundred and fifty years of unrequited toil shall be sunk, and until every drop of blood drawn with the lash shall be paid by another drawn with the sword, as was said three thousand years ago, so still it must be said ‘the judgments of the Lord are true and righteous altogether’. The address is brief, only 703 words. This was unusual in Lincoln’s time when one hour speeches were not uncommon, and the style of oratory was very ornate. However, throughout his life Lincoln had a talent for packing a great deal of thought in very few words, and that talent is on full display here. Like the good lawyer that he was, Lincoln got to the nub of the question, the war. 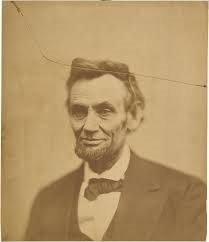 For Lincoln the immediate cause of the war was due to the success of the secession movement in the South and the unwillingness of the Unionists in the North to let the secessionists leave the Union. 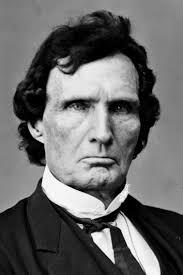 However, while secession was the spark that led to the conflagration, slavery was the issue that led to the war. Indeed. Both sides were convinced at the onset that the other side really didn’t have their hearts in the war, and that the war would be brief if there was any fighting at all. A. W. Venable of North Carolina expressed a common sentiment when he offered to “wipe up every drop of blood shed in the war with this handkerchief of mine”. Shelby Foote, one of the finest historians of the war, wondered how many railroad boxcars full of handkerchiefs it would have taken to wipe up all the blood spilled in the war. Theology enters in. Each side has attempted to enlist God in support of their cause. Battle Hymn of the Republic meet God Save the South. That the prayers of the Confederates had not been answered by this stage of the war, with the Confederacy on the verge of overwhelming defeat, would have been obvious to all who heard Lincoln’s speech. However, what did Lincoln mean by stating that the Union’s prayers had not been fully answered? Perhaps he was thinking of the dreadful cost in blood and treasure to obtain the victory that was dawning. Something that many of our great saints have told us, but which we have a hard time accepting or understanding. Lincoln pondered this in September of 1862 in a writing which has come down to us as Lincoln’s Meditation on Divine Will. This was a private note written by Lincoln for his own reflection. Matthew 18:7. Most of the much more biblically literate population of Lincoln’s time would have recognized the quotation immediately. The Civil War as God’s punishment to both North and South for slavery. Imagine the reaction of the public today if, after leading the country through a terrible war, a president stated that the war was God’s punishment and that Americans were just as guilty in the eyes of God as their adversaries. This sounds strange to most modern ears, and not just to those who are atheists or agnostics. Even many believers in God are more apt than in Lincoln’s day to see such calamities as slavery or war caused by merely human action. Traditionally Catholics and other Christians have been much more likely than we to see the hand of God guiding the course of history. With malice towards none, and with charity for all is a good summation of how Lincoln intended to treat the defeated Southern states. He wanted them to assume their pre-war place in the Union as soon as possible. No doubt there would have been a battle royal if Lincoln had lived between him and radical Republicans in Congress who wished to punish the South. Note the phrase “as God gives us to see the right”. Once again Lincoln is aware that what might seem right to humans may not be right to God, and hence the tentative nature of this phrase. 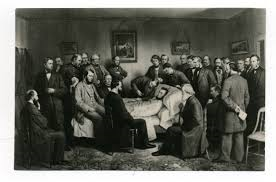 It is interesting that when Lincoln states: ” to bind up the nation’s wounds; to care for him who shall have borne the battle, and for his widow, and his orphan” Lincoln does not limit this solicitude to Union veterans. If the federal government had extended such care to crippled Confederate veterans, and the widows and orphans of dead Confederate soldiers and sailors, the binding up of the nation’s wounds would have been much easier.